"This comprehensive and indispensable reference manual offers practical, tested techniques for managing workplace issues. Includes fully searchable PDF version of the manual on CD-ROM." 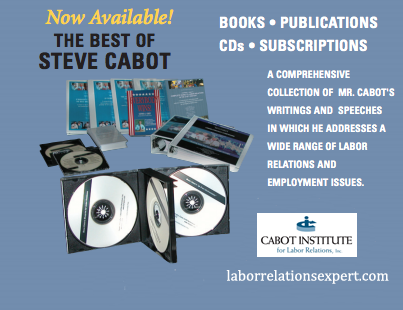 "Steve Cabot "wrote the book" on effective labor relations. This business bestseller offers an exciting new paradigm for a persuasive partnership of cooperation between management and their employees." "First-line supervisors play a crucial role in establishing and maintaining positive company relations. Learn how these key personnel can help create an efficient, constructive environment through better workplace practices. Learn how to preempt and defeat labor’s latest organizing tactics! 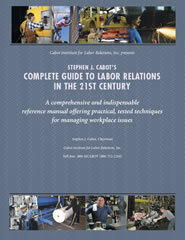 "In this wide-ranging interview, Mr. Cabot discusses his assessment of labor relations in the twenty-first century, offering key strategies to meet the current challenges to workplace harmony." "This compelling presentation on pivotal employment law practices includes live, interactive Q&A from conference attendees around the country." "Mr. Cabot offers his strategic and tactical advice for creating and maintaining a healthy, litigation-free workplace." 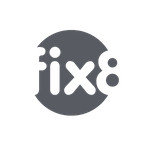 "A detailed and powerful plan for preventing employee labor relations problems before they arise." "The modern workplace is awash in paperwork. In this useful manual, employers will learn how to make documentation an aid not an obstacle, from inception through separation of employment. Learn how to minimize risk and maximize flexibility. "Today's employer must contend with a panoply of interlocking and overlapping state and federal laws and regulations. This timely publication will guide managers and HR professionals through the various potential issues raised by employees with disabilities. "A primer on the Fair Labor Standards Act and common wage and hour law issues, including determining who is "exempt" or "nonexempt" and determining what is compensable time."